is a private, 501(c)(3) non-profit economic development corporation formed in January 2000. Memberships and contributions are deductible to the fullest extent of the law. The EGC is membership based and governed by a board of directors. 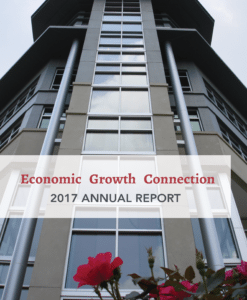 The Economic Growth Connection provides leadership to the private sector to develop business opportunities. The end result is quality jobs created and retained in Westmoreland County and the region. 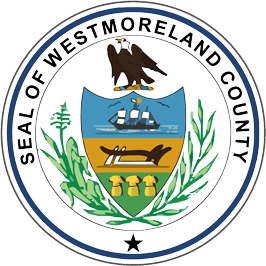 The Economic Growth Connection of Westmoreland is a private non-profit membership based organization created to foster economic growth and development in Westmoreland County. Governed by a board of directors, our objective is to raise the standard of living through sustainable high quality job creation and retention. EGC announces Q2 2019 – PIDA rate Decrease! 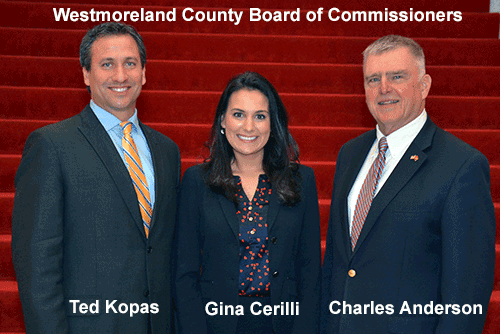 Please join the EGC in honoring Tenaska, Municipal Authority of Westmoreland County, and Bruce Corna, Vice President of KACIN Companies. Monday, November 5, 2018 NEW LOCATION: The Palace Theatre View more information including sponsorship and ticket options here.